On the car,Mr.Sung told us that we could go to the Xiangshan Visitor Center. And we could take a rest in the Xiangshan Café, which is a simple-but-fashionable cafe. The Xiangshan Visitor Center is not just for administration use , many tourism will come here for the first choice when they arrive SunMoon Lake. The uniquely designed building has wood-patterned exteriors and wings that stretch like human arms embracing the earth. In addition, the two giant canopy structures, 34 meters long and 8 meters tall each, allow people to enjoy beautiful views of the Sun Moon Lake from the top. 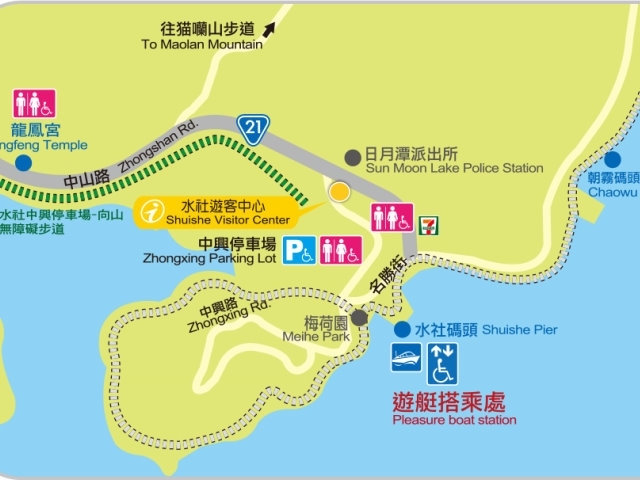 There is a poor nearby Xiangshan Visitor Center , the surface was integrated with the surface of Sun Moon Lake, blue sky is mirrored on the sun moon lake, it let tourists linger. After we checked in there and helped taking pictures for other tourisms, we went to the Xiangshan Café. 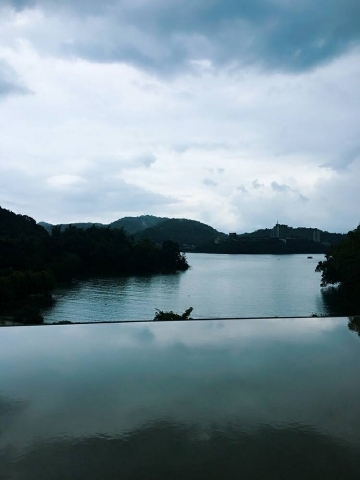 In the Xiangshan Café, we could not only enjoy the fine views of Sun-Moon Lake, but also take a rest in the distinctive atmosphere. The first place of chartered tour to Sun Moon Lake was sa amazing.